The world of college education is changing at light speed. Educational models are changing the way students learn, and student life is fundamentally different than it was even five years ago. 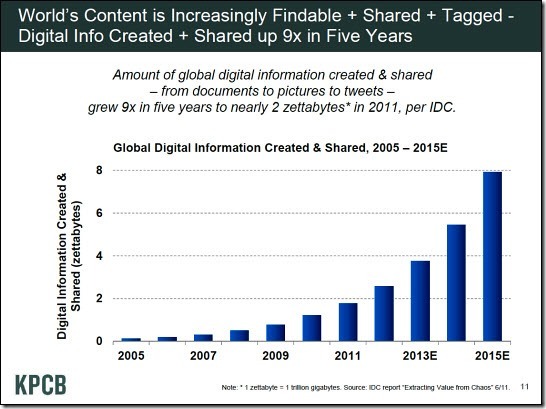 To get a sense of just how fast the change is occurring, consider that the amount of information on the internet has more than doubled since 2013 and more than quadrupled since 2011! We developed Buzz.Report in response to some critical trends that we observed over the past two years. These trends are already changing the economics of marketing and selling auxiliary services. The key to remaining competitive in this new hyper-connected world is mastering the discipline of collecting feedback in real time from the market. Based on our research, we have developed a systematic approach to creating effective communication between auxiliary services and the student body. The approach consists of three pillars: monitoring feedback, personal feedback and structured feedback. We’ll break down each of these components here. Paying attention to the comments that students make about the different auxiliary service units at a college campus is an immediate way to show students that you care. It’s also your first line of defense against a communication crisis. By continually monitoring the conversation on social media, forums, blogs and other online communities, you can demonstrate your willingness to go the extra step. Perhaps most significantly, students give raw and unfiltered feedback online. The most critical aspect of monitored feedback is responsiveness. When a student asks a question online, make sure that they get the real answer they are looking for. If they raise a legitimate complaint, make sure that someone with the authority to correct the situation is informed immediately. It’s estimated that words only convey 7% of total communication. Body language and visual signals make up 55%, and tone of voice comprises 38%. Students primarily communicate online and via their mobile devices, but there’s a lot you will miss if you aren’t regularly connecting with them offline. For this reason, feedback aggregators and other software tools are most effective when used to supplement and enhance face-to-face communication (not as a substitute for it). Obviously, personal feedback is much harder to collect on a consistent basis because there is no way to automate it. It’s more time-consuming. The qualitative nature of face-to-face dialogue can also make it difficult to make objective observations. One vocal individual who makes a particularly loud or emotional statement may not necessarily speak for the majority, but it’s easy for one voice to overshadow the overall consensus. For these reasons, it is hard to spot trends from personal feedback alone. All the same, regularly speaking to students in person is important and necessary. There are a number of different ways that you can collect personal feedback, and we’ve discussed some of them previously. Focus groups are the most common form—and in the college setting, a student-led food service committee is a particularly effective type of focus group. A student dining ambassador is one other type of resource that can create regular opportunities for this type of feedback. You can also get a lot of valuable information from talking to students informally or even just sitting in a dining hall and listening to what people are saying. When you need hard numbers to confirm or disprove your assumptions, collecting data points in a systematic fashion can help your team make an objective assessment. Surveys are the most common form of structured feedback, but as we’ve discussed before, creating effective surveys isn’t easy. Asking the wrong questions can bias or skew the responses. Asking at the wrong time or using the wrong kind of media can make it difficult to get replies at all. You can give students a prize or incentive to motivate them to participate, but if you do, your responses may be minimal or half-hearted if students are just going through the motions to collect a prize. All that said, surveys do work if you implement them correctly. They are an efficient way to collect responses from a large population. Sampling is critical for accuracy. For example, if you survey the students who visit a dining hall on a particular week, you may be excluding the students who didn’t buy meal plans—and these may be the very people you are trying to reach. Don’t count on students to give you long, detailed answers to open-ended questions. Structured feedback is most effective for getting clear answers to simple questions from a large group of people. There are a few different methods that you can use to solicit structured feedback. Setting up a kiosk or a table with tablet computers is an easy way to pull people aside. You can also use “text and tell” alerts to solicit quick responses by SMS; you can ask one question and invite students to text the answer to a 5-digit number. Comment boards make it easy for students to leave quick notes in a dining hall, and you can also set up web site feedback forms to collect comments online. A good campus communications program should incorporate all three of these elements. No single method will provide the complete picture by itself. Collecting feedback is not easy—it requires discipline as well as trial and error. But the investment always pays off if you stay committed.